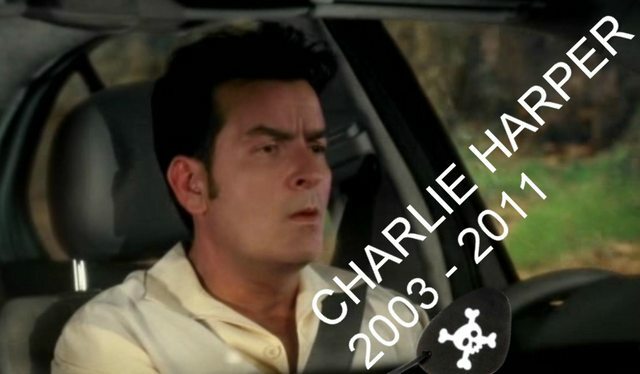 According to TMZ, Chuck Lorre has already decided how will be the end of the character of Charlie Harper from Two and a Half Men. He will have a terrible accident, driving his car over a cliff. Oh the irony, it will imitate real life, because two of Charlie Sheen’s cars went down a cliff on Mulholland Drive. The first script still isn’t finished and Lorre often makes changes until close to taping. The first episode of Season 9 will have the end of Charlie Harper’s life. It will start filming on August 5th, and will premier on September 19th, 2011. Ashton Kutcher will be the new protagonist, his character will probably buy Charlie’s house after his death. Kutcher’s contract, which is for one year, is believed to be worth nearly $20 million.